We are still waiting for spring around here. March was 10° + colder than March of last year for both the high and the low. The average low was 32° and over half of our mornings were below freezing. It also kept raining (and snowing—it snowed six different days in March), another almost five inches, bringing our total to 22 inches for the year. Thankfully, the forecast currently has no days below freezing over the next week. One of the many reasons that we love our church is that all of the members show up on a regular basis. I have been a part of some churches where Easter brings all kinds of people out that one only sees a few times a year, if that. While we did have a few first-time visitors yesterday, our regulars were there as usual. 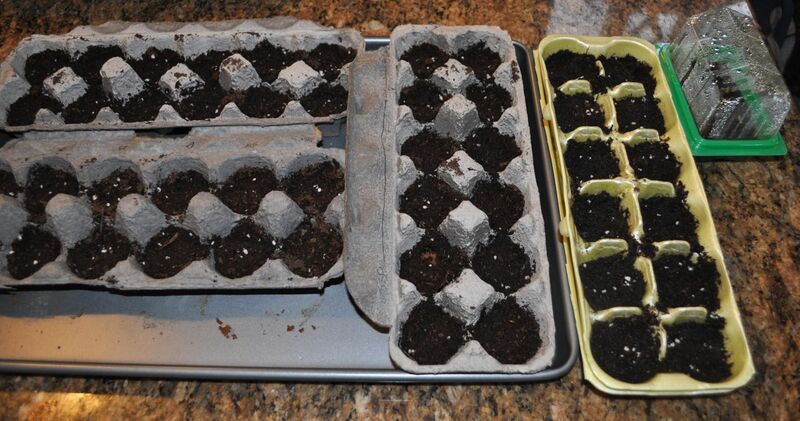 Yesterday afternoon, Dana started some seeds indoors. Despite the freezing March, we are ready to begin planting some things. Whenever our neighbor hooks up his plow to his tractor and makes the neighborhood rounds, we will put out some cool weather stuff. This entry was posted in Church, Garden, Weather. Bookmark the permalink.